FriesenPress, Victoria B.C. Canada. Publication Date- October 2015.ISBN- 9781460262702 Publication Date- October 2015. 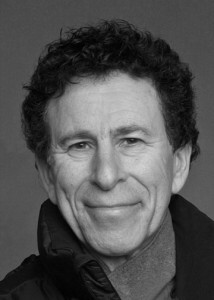 Kenny Pearl began training in dance in Toronto at eighteen with David Earle and Patricia Beatty, and at the National Ballet School. He moved to New York City in 1967 after graduating from the University of Toronto with a BA in English literature. He lived there for 13 years, dancing with the Martha Graham Dance Company and the Alvin Ailey American Dance Theater. He has taught often in New York at the schools of the Graham and Ailey companies, and at the Juilliard School of Music. Back in Toronto, after a season with the Stratford Theatre Festival (1981), he was artistic director of Toronto Dance Theatre (1983 – 1987). He taught for 15 years at the School of Toronto Dance Theatre and has been at Ryerson University since 2002. 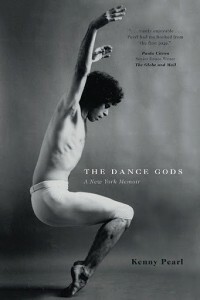 For full Biography- www.dancegodsbook.com – ABOUT tab. “This book had me captivated from the first page. A great account of one dancer’s career, in New York City during the heyday of the Martha Graham Dance Company as well as the Alvin Ailey American Dance Theater. This is a story filled with inspiration, challenges, and finding one’s artistic voice. So inspiring. So moving.” – Anisa Tejpar, dancer, choreographer. 1- Why, after all these years, did your write your book? 2- Why did you finish your story in 1980 and not include your journey up until the present? 3- What was it like working so closely with Alvin Ailey and Martha Graham? 4- How has New York City changed since you lived there? 5- Are you still close with any of the personalities in your story? 6- You write about experiencing many painful injuries. How is your body doing now, after 35 more years in the dance profession? 7-You lost your home a number of times in very shocking ways. How has that affected you? 8- How has working with two great figures in modern dance affected you? 9- What was the dance landscape like in Toronto at the time you left for New York? The ebook can also be purchased on Kindle, iTunes, Nook, GooglePlay and Kobo. eBook is available at friesenpress.com, amazon.ca, etc. FriesenPress, Victoria, B.C. Canada. Publication Date – October 2015.